If you’re an eCommerce professional, you’re probably aware that attending eCommerce conventions and conferences is a must in order to keep on top of the industry. It also helps just to learn who’s doing what and whether it’s working for them. Developing skills, networking with potential colleagues from around the world, and listening to seminars from some of the most successful faces in the industry are some of the most reliable ways to push your business and knowledge to the next level. Read on to find out about some of the best and biggest eCommerce events and conferences coming your way in 2019! Affiliate Summit hold events over the world including the Eastern and Western USA, Europe and Asia. Affiliate Summit East is the biggest and best one this year, taking place in New York City and focusing, as always on digital marketing. This is arguably performance marketing’s best event and looks to be shaping up to be one of the best conferences of 2019 period. Thousands upon thousands of blog owners, online publishers, advertisers, global brands, technology firms, eCommerce specialists and potential traffic sources descend on the eCommerce summit for two days of networking and talks by industry leaders. This year you can expect an agenda that has been set by some of the most significant stakeholders in the American affiliate marketing industry – meaning engaging eCommerce seminars, valuable insights and upcoming trends you know you can use! Need some ideas on what to talk about before going? Our guide to eCommerce buying trends in 2019 is ready to change all that! Click Summit brings together leading specialists in fields such as experimentation and analytics, including people from top-level brands such as eBay and Microsoft. The focus is on education and sharing new ideas with each other, as well as gaining advice and experienced tips on developing actionable plans to scale your existing experimentation programs to keep you even more ahead of the curve. This is an exciting and extremely in-depth event with some enthusiastic and talented speakers you will want to pay attention to. CommerceNext is a digital marketing conference focused on customer acquisition, retention, and keeping up with changing customer behaviours and growth in eCommerce spurred by new technologies. The 2018 event was attended by executives from organisations such as Bacardi, eBay, Estee Lauder, Foot Locker, Levi’s, Sephora and more. This year is shaping up to be even bigger, with over 30 sessions, intimate round-table talks, and 40+ vendors offering solutions you never dreamed of. Canada’s largest digital marketing exhibition is back this year, with a huge slate of over 50 speakers from backgrounds in retail, marketing and technology, along with a variety of free workshops and futuristic exhibits like a store from the future, demonstrations of upcoming retail technology, live music and more. It is also one of the best eCommerce trade shows for networking due to it’s wide reach in Canada and the thousands upon thousands of loyal marketing, brand and tech professionals who attend every year. Operations Summit is unique in that it’s the only large conference that focuses directly on omni-channel operations and direct-to-consumer eCommerce. 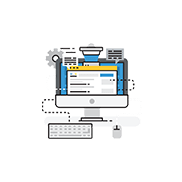 If you want to grow your eCommerce business in 2019, you really can’t afford to miss this stuff. Speakers include Directors, Vice Presidents and CEOs from organisations at the forefront of eCommerce such as BirchBox, Overstock.com, Abercrombie & Fitch and more. If you’re interested in keeping up with the best current and upcoming eCommerce platforms and learning which one is the best suited to your business, we highly recommend reading this guide to eCommerce platforms. eTail Europe is one of Europe’s biggest retail industry conferences and features discussions on eCommerce technology and strategy on a larger scale, aimed at major retailers. Some of the top minds of retail will be collaborating and discussing the biggest disruptions to the industry today, and the most likely ones to emerge tomorrow. 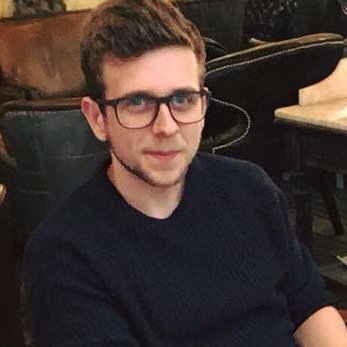 Speakers this year include Richard Marriott, the Director of Amazon Marketplace UK, Mark Dunhill, CEO of Whittard of Chelsea and plenty more giants of eCommerce including digital marketers and eCommerce team leads from organisations such as Holland & Barrett, Unilever and more. Luxury Interactive is an internet retailers conference and exhibition centred on the high-end luxury goods market and has developed a loyal following of over 300 executives that return every year. The event focuses on the fun in networking and is one of the best places to truly feel a part of the industry and develop a variety of connections from every part of the industry and find solutions together. Considering their focus on the luxury space, Luxury Interactive have managed to bring that experience over to the convention itself too, holding it in a luxury intimate venue that is a world away from a typical conference hall. They aim to treat everyone like a VIP including a three-course meal at lunch-time included with every ticket, which is a lovely change if you attend a large number of conferences each year. Despite this, the content is where they really shine, with each year’s event building on at least eight months of research into the latest and upcoming trends and topics. 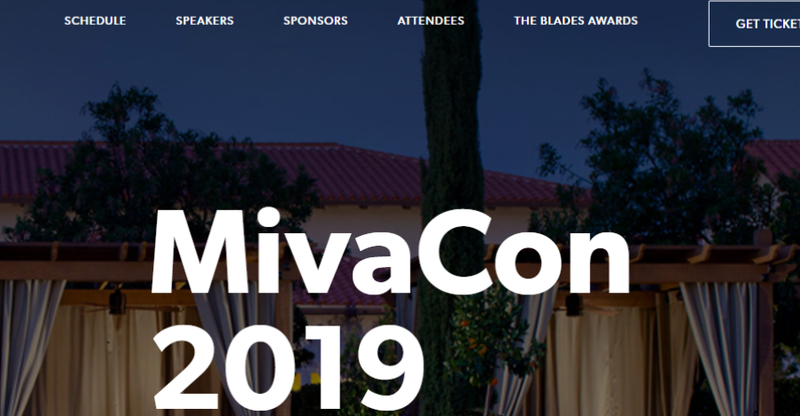 MivaCon focuses on independent sellers and how to build partnerships, meet customer expectations and scale strategies in order to stand out from the crowd in an age where independent sellers are on the rise. This year they’re putting on a range of great talks including ones on how to compete with the standards customers have come to expect from Amazon. This convention is also great for Amazon FBA sellers and features a few Amazon conferences and talks – of course, you should read our guide to the Amazon A9 algorithm before you go to make sure you truly know what you’re talking about in a way few others will. Mobile Connect is an exclusive event known as an “mCommerce conference” focused on smartphones and mobile-based eCommerce that’s, unfortunately, invitation only. However, this only serves to make sure the attendees are the real decision-makers and high-level execs you’d hope to meet. Tops to expect this year include trends such as the gamification of mobile UXs, customised solutions, and a focus on qualified and intimate one-to-one networking. Are you still not sure why mobile compatibility is so crucial? This guide provides a great breakdown of why you should be putting mobile above the desktop, not just as an equal. With a completely different strategy to the exclusive, invitation-only Mobile Connect, ShopTalk is a global eCommerce leaders forum which attempts to get the whole retail ecosystem together under one roof, from global brands and retailers to startups, investors, Wall Street analysts and more. There are a wide range of talks by executives and experienced marketers from top-level companies including Macy’s, Sephora, Walmart, Nike and more! This is also one of the fanciest online retail conferences you will come across thanks to it being set in the incredible Venetian! 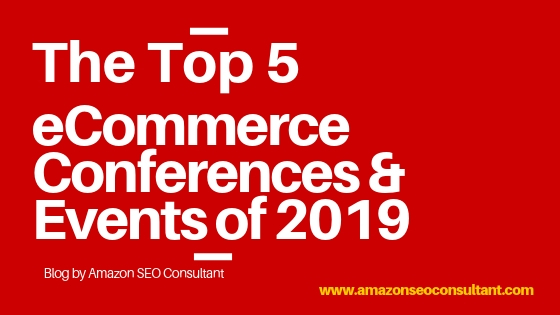 So the list above is specifically for the best eCommerce retailer conferences being held in 2019, but what about general business related conferences that could also be useful hubs for networking and learning about upcoming changes in online selling? Startup Grind is the world’s biggest community of startups, so while it isn’t strictly about eCommerce, online business almost always commands the proceedings. With speakers from LinkedIn, AirBnb, Bloomberg, Google and plenty more, there is going to be wisdom and experience flying around this place that you can’t afford to miss. They also have a unique focus on ‘giving before taking’ and ‘making friends not contacts’ which always help make it a very light-hearted and breezy event compared to others, which is a huge achievement considered the events gargantuan size. While not strictly for eCommerce, and attended by large amounts of brick and mortar retailers, PubCon is the longest running search engine marketing convention in the world. This means a wealth of experience built up over years, and with speakers this year including Google‘s Webmaster Tools Analyst, ESPN‘s SEO manager, execs from Bing, IBM and more, the potential for networking and education is very difficult to ignore. Once again, these few conferences don’t fall directly into eCommerce, but can be equally as valuable when it comes to discovering new solutions and learning new tips that can be applied directly to eCommerce. RSA Conference has a focus on encryption and cyber-security solutions, and is a great place to discuss and learn how to keep your business and customers safe in 2019’s digital world. You know you are getting the best possible up-to-date information since speakers include Chief Security Officers from organisations such as Mozilla, Adobe and Xerox. RSA are painfully aware that information is power, and aim to stand together to make data and online business safer than ever. While cyber-security gets more and more complex by the day, there are a few easy and important steps you should take immediately, and getting SSL right now is one of them. Big Data LDN is a completely free of charge convention focused on data and analytics in London, England. This year you can expect to hear from over 130 speakers discussing real-life case studies, and tips on delivering the best possible data-driven strategy in 2019. The event focuses on practical steps organisations should be taking with actionable insights and advice on what other organisations are doing, what is working and what isn’t. Have you enjoyed this guide to the best eCommerce related events, conventions and exhibitions around the world? Keep an eye on AmazonSEOConsultant for regular high quality content and, for more ideas on how to escalate your online marketing strategy in 2019, check out our expert guide to persona marketing to get taking advantage of this highly proven strategy and avoid being left behind this year! If you need expert help boosting your Amazon product rankings, take a look at our client case studies to see the kind of results we will achieve for you! Click Here to See How We Could Help You Rank Amazon Products! Let's Go!